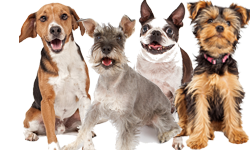 Blackwood Pet Foods LLC is a family-owned pet food company. They are part of Ohio Pet Foods and Southern Tier Pet Nutrition, a third-generation family-owned business manufacturing premium and super premium brands of companion animal food. They make products that are sold throughout the United States and in 22 countries worldwide. Their headquarters are in Lisbon, Ohio. Ohio Pet Foods have been in business since 1978. Blackwood emphasizes that they make their food in small batches using a slow-cooking method. 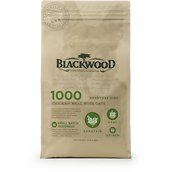 Blackwood makes dry and canned foods for dogs and puppies, senior dogs, large breed, grain free, sensitive, active, performance, and other diets. They also make cat food. Who Manufactures Blackwood Dog Food? Blackwood Dog Food kibble is made by Ohio Pet Foods, Inc. In addition to their own brands, Ohio Pet Foods also makes private label foods for other companies. 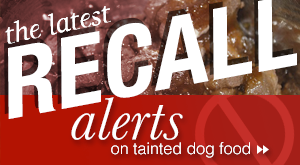 Since January 2002, none of Ohio Pet Foods’ products have contained beef or beef by-products. According to their web site, all poultry and other meat proteins are purchased from vendors on the basis of quality – not price – to ensure that their pet foods meet high quality standards. In addition, due to consumer perception, Ohio Pet Foods products contain no soybean meal and are preserved with natural mixed tocopherols (Vitamin E) and have proteinated (chelated) minerals. Ohio Pet Foods has been rapidly expanding in recent years. The company purchased Blackwood Pet Food in 2011, and followed that acquisition in 2012 with the takeover of the former Chenango Valley manufacturing facility, which it reopened as contract manufacturer Southern Tier Pet Nutrition. Other brands made by Ohio Pet Foods include OPT, Teddy Treats, and Southern Tier Pet Nutrition. They have three manufacturing plants. Blackwood canned foods are imported from New Zealand. No other information is provided about these foods, who makes them, where they are made, or under what circumstances. Blackwood has a rebate page but it is not currently working. Contact them directly for coupons. 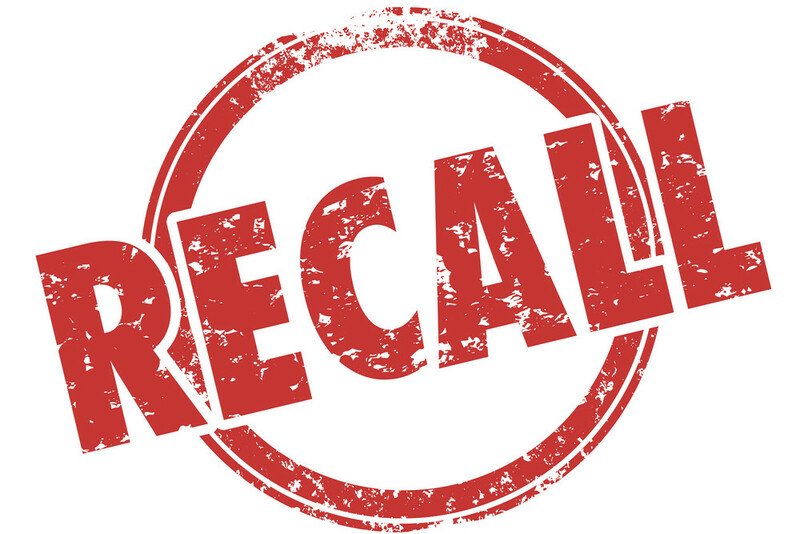 We did not find any recalls or entries in the FDA database for Blackwood Pet Foods, Ohio Pet Foods, Inc., or Southern Tier Pet Nutrition. According to Blackwood, and their parent company, they use no beef or beef by-products in their foods. They buy poultry based on quality and not price. They do not use any soybean meal. And their foods are preserved with natural mixed tocopherols (Vitamin E). 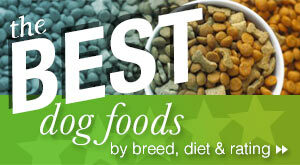 They use proteinated (chelated) minerals in their foods which are easier for dogs to digest. Blackwood also says that they make their foods in small batches which is better for quality control purposes. 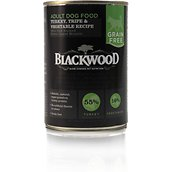 Blackwood also emphasizes the fact that they slow cook their foods and they provide some research which suggests that this makes the foods easier for your dog to digest, allows your dog to get more nutrients from the foods, and may make them more appetizing. These Everyday formulas appear to provide moderate protein and fat, with average fiber. They appear to be higher in calories than many similar super premium dog foods. Along with the listed meat proteins (chicken meal, lamb meal, whitefish meal, etc. ), the foods typically contain egg product and Menhaden fish meal which probably boosts the protein percentage. The foods contain grains such as oat groats, pearled barley, sorghum, and millet. They look like good quality grain kibbles that are similar to some other brands. We don’t notice any ingredients that stand out as being particularly harmful. They do use some rosemary which might be a concern for dogs prone to seizures. And they do list flaxseed among their ingredients but it is far down the lists. Flaxseed can be a concern because it is a phytoestrogen and can interfere with an animal’s hormones and endocrine system, but very small amounts probably wouldn’t be a problem. 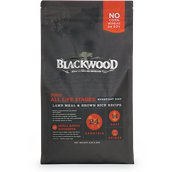 Blackwood’s Special Diet formulas appear to have moderate to higher protein and moderate fat with average fiber. Again, they seem to have slightly more calories than most super premium dog foods. The sensitive skin and stomach formulas feature proteins that are a little different than you will usually find in ordinary kibbles. Catfish is a little different, though salmon and lamb are fairly common. If your dog has a fish allergy or intolerance, then catfish and salmon won’t help. These foods don’t contain corn, wheat, or soy, which is helpful for dogs with skin and stomach issues. However, the catfish formula does contain chicken meal, if your dog is sensitive to chicken; and the salmon formula contains chicken cartilage which can trigger a reaction if your dog is sensitive to chicken. Cartilage is made up of collagen which is a protein – in this case, chicken protein, so it would definitely cause a reaction in any dog that had problems with a chicken allergy. The lamb formula contains catfish meal and chicken cartilage, in case your dog has problems with either fish or chicken. Obviously if your dog has allergies or food sensitivities, you always need to read labels carefully to see what’s in the food. If you are considering these sensitive skin and stomach diets for some other reason besides food allergies or intolerances, then they may be just what you are looking for. Check the labels and see if they meet your dog’s needs. Blackwood’s grain free foods use field peas instead of grains. The meat proteins include chicken, buffalo, and salmon. They appear to be moderately high in protein, with moderate fat, and average fiber. They also have slightly more calories than most super premium dog foods. In addition to field peas, the foods also contain lentils, chick peas, and tapioca starch. They also contain additional meat proteins such as duck meal, whitefish meal, herring meal, and catfish meal. Peas and lentils can be problematic ingredients in dog foods. They are a source of plant protein, as well as vitamins and minerals and some fiber. However, they contain phytic acid which, in high amounts, acts as an anti-nutrient to prevent the body from absorbing some of the nutrients it needs. 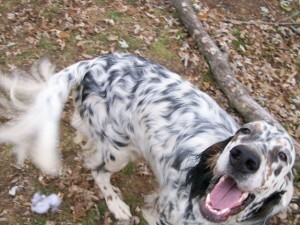 Some dogs have problems digesting dog foods that contain lots of peas and lentils very well. Dog food companies are somewhat in a bind. 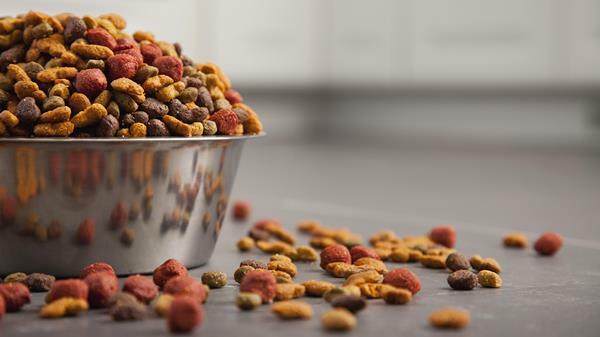 Pet owners complain about corn and wheat in dog food but they have to use something in kibble as a binder and source of carbohydrates and as a less expensive protein to go along with the animal protein in the food. 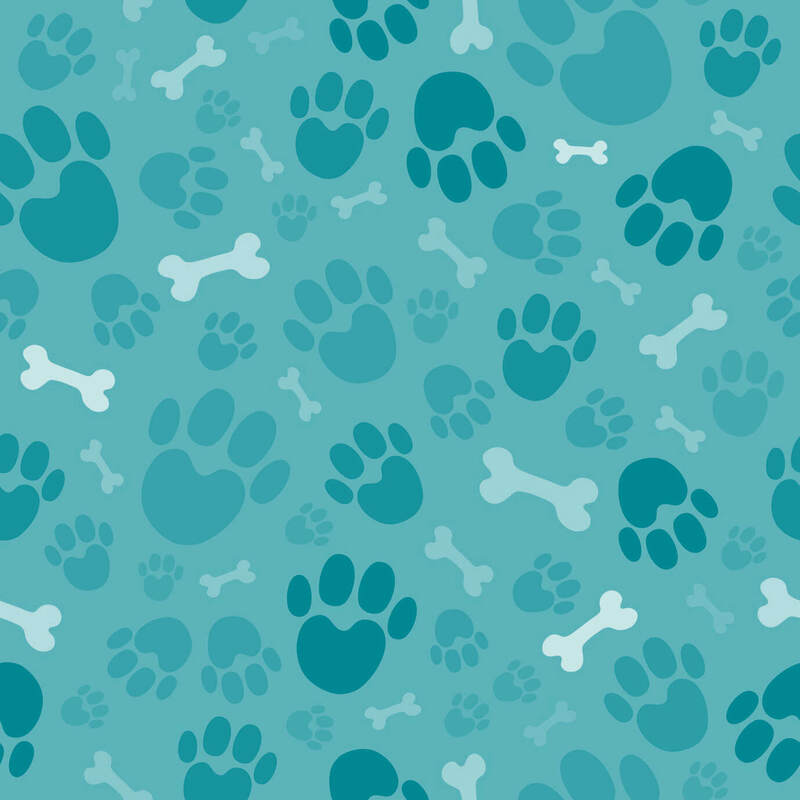 Peas, lentils, and legumes are currently filling that void but they are not really a good choice for dogs in large amounts. If your dog can digest peas and lentils without much difficulty, you might try these grain free foods, but if your dog has any digestive problems, switch to a food that doesn’t use peas and lentils. The animal protein in the foods looks fine. The link to these foods did not work when I tried it on the Blackwood site and I had to use a little Internet voodoo to get to the foods. I have the impression that these are some of Blackwood’s older formulas and they may not market them very strongly today. The foods range from lower protein for a super premium food to a high protein dog food. The fat also ranges from rather low to fairly high. Calories, as usual with Blackwood’s foods, are on the high side. We do not have calorie information provided for the ExPro Performance food but we’re guessing that it’s very high – over 500 kcal/cup. These foods contain chicken meal, ground corn, oat groats, ground grain sorghum, brown rice, Menhaden fish meal, cheese meal, wheat germ meal, egg product, and other ingredients found in the other Blackwood formulas such as fermentation products, chelated minerals, etc. The ExPro formula has a few extra things which are probably added to boost protein: Herring Meal, Chicken Liver Meal, Porcine Plasma. We honestly have no idea what porcine plasma is, but we checked and it is normally used in pig feed. There seems to be a problem with the use of porcine plasma at the moment, however, because it has been implicated in the spread of a virus affecting young pigs. You may want to steer clear of this food, at least for a while. These canned foods are high in protein and most of them have average fat, with the exception of the lamb and vegetable formula. This formula is off the charts as far as the fat percentage is concerned. The dry matter basis for this food works out to 38.6 percent protein; 36.4 percent fat; 2.3 percent fiber; and 9 percent carbs. It is not normal for any dog food – canned or kibble – to have an equal amount of protein and fat. Your dog might love this food but it wouldn’t be healthy to feed it to him very often. These canned foods are approved for all life stages but don’t feed your dog this food as a regular diet. The other foods look fine. The ingredients in all of the foods look good. They feature a named animal protein with a meat broth and vegetables. They have added vitamins and chelated minerals. The only ingredient that might raise eyebrows is carrageenan – a preservative made form seaweed. It is widely used in the meat and dairy industries. It’s been used for several hundred years but it can cause some stomach irritation and the European Union has raised questions about it. Carrageenan is found in lots of canned pet foods – and in ice cream and other things you probably eat. Otherwise, these canned foods have no artificial colors or flavors and no grains. Overall these look like very good dog foods. Be sure to read the labels to make sure you know what’s in the food, especially if your dog has any special food issues. Blackwood has lots of foods – we count 14 kibbles and four canned foods. 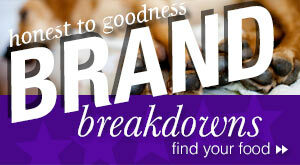 We thought it made sense to simply choose one of their basic, Everyday formulas to review. So, we have chosen Blackwood Adult Dog Everyday Diet Chicken Meal & Brown Rice Recipe. This is a super premium food with no corn, wheat or soy. It contains chicken protein that Blackwood calls “all natural.” The food also has pre- and probiotics. And the company says that the food is suitable for all breeds. It is AAFCO-approved for all life stages. The first five ingredients in this food are: Chicken Meal, Brown Rice, Millet, Oat Groats, Chicken Fat (Preserved with Mixed Tocopherols). We have no problem with chicken meal as a first ingredient. It’s a named meat protein. As a meat meal, it has had most of the moisture removed so it is a concentrated source of protein. Chicken usually has around 60-80 percent protein and 20-40 percent fat. Chicken is also a good source of Vitamin B6 and Phosphorus, and a very good source of Niacin and Selenium. Brown rice is considered to be slightly more nutritious than white rice because it is a little less processed, so it retains more of the original nutrients. It also has a little more fiber than white rice. It is used in lots of dog foods. Brown rice is 85 percent carbs, 8 percent protein, and 7 percent fat. It’s a good source of Selenium and a very good source of Manganese. It also has quite a bit of omega-6 fatty acid. Millet is a gluten-free grain or seed that may have some antioxidant properties. It is 82 percent carbs, 11 percent protein, and 7 percent fat. It’s a good source of Manganese. It also provides some omega-6 fatty acid. It is the main ingredient in bird seed. Millet has some health benefits for humans – heart health, possible help for diabetes – this probably isn’t a great grain for dogs. The fourth ingredient in this food is oat groats. Oat groats are oat kernels with the hull removed. They are 76 percent carbs, 6 percent fat, and 18 per cent protein. So, for a grain they have quite a bit of protein. They are a soluble fiber with some iron, calcium, and manganese as well. They also contain lots of B vitamins. Although they have the husk removed, they are relatively unprocessed so they still contain most of the nutrients in the oats. They are slow to digest and help regulate blood sugar levels. The fifth ingredient in the food is chicken fat (preserved with mixed tocopherols). Chicken fat is a good named fat for dogs. It is 100 percent fat. Chicken fat has omega-3 fatty acid and lots of omega-6 fatty acid. The mixed tocopherols are forms of Vitamin E which is a natural preservative for the chicken fat. Other ingredients of interest in the food include ground grain sorghum – a cereal grain often used as a substitute for corn for livestock in the U.S. It is 89 percent carbs, 8 percent fat, and 3 percent protein. It is high in omega-6 fatty acid. It’s not the most nutritious grain. The food also contains dried plain beet pulp. This is a good insoluble fiber which, unfortunately, has been maligned by some people online. It is not sweet or sugary. It is not a filler ingredient. It acts to absorb moisture in the gastrointestinal system and help move food along while it’s being digested. It brings water to the digestive process which is very helpful. The food also includes Menhaden fish meal. Menhaden fish (of several different kinds) are found all along the Atlantic coast of the U.S., the Gulf of Mexico, and even the Pacific. Menhaden are used to make fish oil since they are an exceptionally oily fish. They are an important source of fish for fish meal, animal feed, and fish oil supplements. Crude protein for Menhaden fish seems to be about 62 percent. Note that Blackwood says that their fish meal is ethoxyquin-free but it does not state this fact on their web site. The food also contains rice bran, which is the hard outer layers from brown rice. It is a by-product from milling rice but it does contain some of the vitamins and minerals that are processed from the rice. The food also contains a number of vegetables such as carrots, celery, beets, spinach and others. These ingredients can provide some vitamins, minerals, carbs and fiber. We also note egg product which increases the protein percentage of the food. Brewers dried yeast is a very rich source of B vitamins, in addition to supplying minerals and amino acids. It is good for the skin and coat. The food also has natural flavor – which is sometimes monosodium glutamate, but it can be just about anything. The FDA has a very broad idea of the meaning of the word “natural.” Chicken cartilage comes from chicken collagen – a protein. Lecithin is a fatty material composed of choline and inositol, is found in all living cells as a major component of cell membranes. It regulates nutrients. It’s a common supplement. Otherwise, the food has some herbs and spices, some cranberry and other antioxidants, a few possible sources of trace minerals, some fermentation products, amino acid compounds, and chelated minerals. 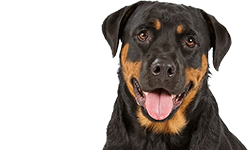 It also has added glucosamine and chondroitin although the FDA really doesn’t allow dog foods to add enough of these supplements to be helpful to dogs. 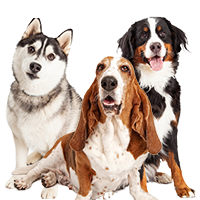 If you want your dog to have these supplements for joint health, you will need to buy them separately at a drug store or some place like Walmart and give them to your dog. This food contains a lot of grains/carbs but we like the chicken meal and some of the other ingredients in the food. Moderate protein, moderate fat with relatively high calories. If your dog has no problem eating these grains/carbs, this food would be suitable for an adult dog that gets plenty of regular exercise. If your dog is a couch potato, he will probably gain weight quickly eating this food. But we don’t see anything here that makes us too concerned. Watch your dog’s portions if you feed this food – no free feeding — and see that he gets regular exercise. 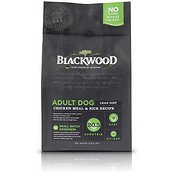 Blackwood Adult Dog Everyday Diet Chicken Meal & Brown Rice Recipe is an all life stages dog food. Blackwood Everyday Diet Chicken Meal & Brown Rice Adult Dog Food is formulated to meet the nutritional levels established by the AAFCO dog food nutrient profiles for All Life Stages. Total Micro-organisms MIN 31m CFU/lb. The dry matter basis figures for this food are: 27.2 percent protein; 15.6 percent fat; 3.33 percent fiber; and 45 percent carbohydrates. 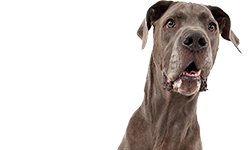 This food has a moderate amount of protein compared to other premium quality dog foods. The food has a moderate fat percentage. The fiber percentage is within the normal range for dog foods today, though a little low. The food is high in carbohydrates. 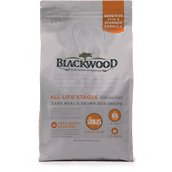 Where can you buy Blackwood dog food? You can buy it from Chewy.com, Wag.com, Petfooddirect.com, and TeddyTreats.com. 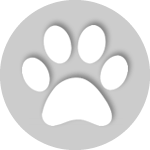 You can also find their foods for sale at many local, independent pet food stores. You can look for stores in your area here. Many of Blackwood’s foods look interesting and they look like they have some good ingredients. Some of them appear to be high in carbs, but we think the proteins look good. Depending on what your dog needs, you might find some of these foods to be a good choice. Do read the labels carefully to make sure the foods don’t contain an ingredient that your dog can’t eat, but check out these foods.